Gift giving had always been a part of the Filipino tradition. The joy of opening gifts after Noche Buena had always brought excitement to everyone. While it feels good to be on the receiving end, there’s also a feeling of self-gratification when you are the one who is doing the giving. 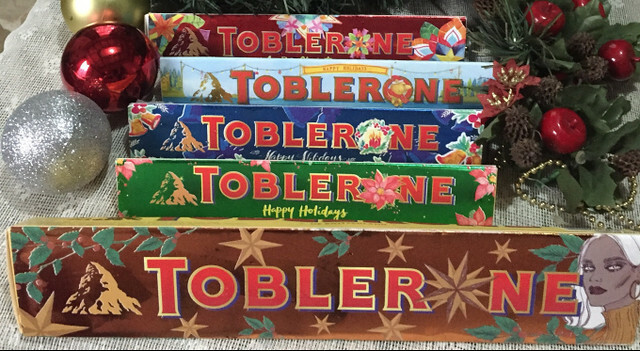 This year, Toblerone again launches its Holiday Limited Edition Sleeves designed by 5 talented artists who took their creativity to the next level sharing Christmas in different forms. A design by Soleil Ignacio dedicated to independent women, showing the typical hardworking women. Alexis Ventura’s whimsical letterings, a contemporary yet feminine design by Anina Rubio. A design influenced by Roald Dalh’s Mr. Fantastic Fox and Toblerone’s rich Swiss heritage which June Digan decided to interpret the story through illustrations and last but not the least a design by Juan Camilo who drew inspirations from his holiday childhood memories. Toblerone inspires us to take our imagination to a whole new level by creating our own design on a Christmas blank pack. Making it a unique gift to our loved ones. 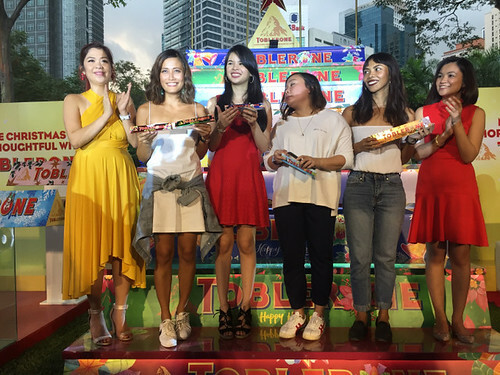 Toblerone pop-up Christmas stations are set up in leading malls (Robinsons Galleria, SM North Edsa, SM Megamall and the Ayala Triangle, Makati) from December 12 to December 31, 2017. For tech savvy chocolate lovers, you can visit http://www.tobleroneph.com to digitally design your own toblerone sleeve and you can have it printed out at any Toblerone pop-up Christmas station. 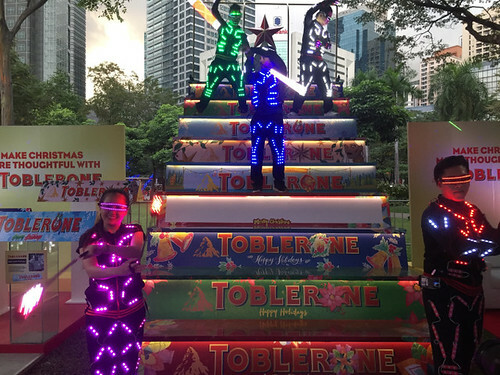 Don’t forget to take your photos at Toblerone stairs located at the Ayala Triangle, Makati and use the hashtag #BeMoreImaginative! ** All toblerone flavors are available in 100g (PHP100), 200g (PHP202) and 360g (PHP400).